By aspiring to achieve a small number of key goals, we are aiming to become one of the leading online timber merchants in the UK. These include providing your timber quote instantaneously, providing quotes in alternative species that you may not have considered (to give you more pricing options) and providing the highest possible quality of timber when you order. The most popular products in our range, in addition to Sawn to Size and Planed European Oak, are Beams, Flooring, Skirting and Oak Decking. Many of these products are available in other species such as Ash, Beech, Tulipwood, Walnut, Idigbo, Iroko, Sapele, Cedar, Douglas Fir, Larch and Spruce, a complete selection you'd expect from a timber merchants. You are able to price-up and order ALL of these products and species online, but if you wish to speak to one of our experienced team, you are more than welcome. 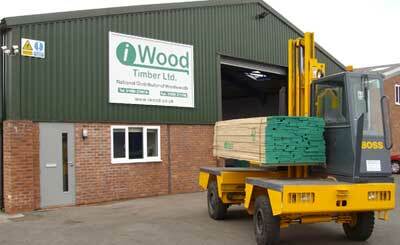 All of iWood's sales staff have been in the timber merchants business for at least 25 years!